The WBHS curriculum for algebra and geometry was altered this year, moving to a group-based learning style. Some of the high school teachers believed that a group approach would be beneficial to the students. They started their research a year ago but the plan was first implemented after observing the teaching style in person at a high school in Oshkosh. 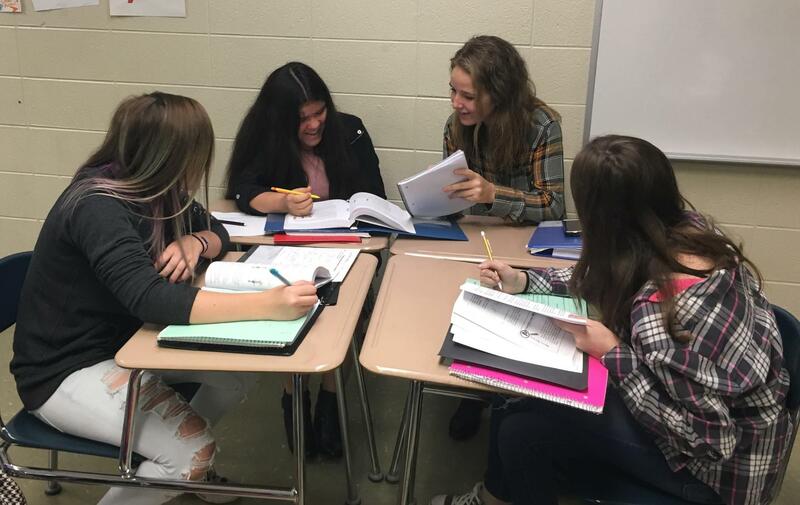 Geometry and algebra classes are now arranged in groups of about four peers utilizing their textbooks. It is expected that students follow the instructions on that day’s lesson and work mostly among themselves. The five to seven homework problems for that lesson are to be completed for the following day and are based on review information so the students can retain knowledge from previously taught lessons. Some algebra and geometry teachers are optimistic about the change in a modified approach to the math curriculum. Chris Susnik, an East geometry teacher, is hopeful regarding the group work. He said that he likes it because of the discussion, the vocabulary use it promotes, and the increase in overall learning capacity. Melissa Werth, an East algebra teacher, feels similarly toward the changes. Both teachers have noted higher test scores, which suggests that the new program is being effective. This is thought to be due to the increase of student interaction and vocabulary usage. But not everyone supports the change. Ironically, it is the large amount of group work and little teacher interaction that has some students upset. The change from a teacher-led class to a student-led class has been challenging for some students. Jordan Jentsch wishes the teachers would do the teaching. “I am the only one in my group who knows what they’re doing, so then I have to explain to everyone,” Jentsch said. Although this seems to be a large change to students, it is only a new way of approaching the curriculum. The Wisconsin state standards and textbooks for algebra and geometry remain the same. The math classes did not replace textbooks, but simply changed the application of the information. Previously, the teacher would introduce a new topic and the students would take notes. As a class, they would complete examples of the newly introduced method and the students would complete 5-10 homework problems practicing the day’s lesson. Now, students work in groups of three or four to complete the day’s lesson. Typically, the group will follow the exact directions and complete all of the questions within that lesson and then go on to complete the homework problems. The homework problems usually have one or two problems pertaining to that day’s learning, and the other questions, between three and six problems, review concepts that had been previously taught. These answers will then be reviewed at the beginning of the next day. The overall effectiveness of this new teaching style has yet to be determined.